Just under one year ago, I was privileged to interview two members of staff from Channel 4’s Educating the East End. It was fascinating to delve behind the scenes of such a slickly edited BAFTA award-winning series and to find that so much of it had been fairly and truly represented. I am in awe of a school that placed itself under the unforgiving microscopic glare of the camera lens for 37 consecutive days and emerged completely validated and entirely unscathed. So, when the first episode of Educating Cardiff aired in the late summer I was delighted when Ian Whittaker – one of the stars of the show – agreed to speak to me. In Educating Cardiff, Willows High School, in the economically deprived Tremorfa area of Cardiff, is a medium-sized secondary school that caters for pupils aged 11–16 years of age. In the last few years, its inspirational head (Mrs Joy Ballard) and members of staff have turned the school around. Since the programme aired, however, Joy has moved on and a new head has taken the helm. This Q&A with Ian explores how the school has adjusted and continues to thrive under new leadership; the impact of national fame on the students and the school; and the disconnect between editorial representation and the school as it really is. Ian also sheds light on examination concessions; the school’s state of readiness for the Welsh reforms; and the pressure that the future funding squeeze will have on the school’s staffing levels and pastoral care. Sean (who has cerebral palsy) performs admirably in the school’s cabaret show. Daniel is brought back into the fold by their refusal to exclude him. Jessica becomes the editor-in-chief of the school’s newspaper to better socially integrate with her classmates. George’s detentions and challenging behaviour are tempered by the school’s drama production and a certain teenage crush on Year 8 student Erin. This complex and brilliantly conceived programme clearly shows the vital impact that whole-school person-centred planning has on individual pupils. It reflects a school that, as in Educating the East End, really does place its pupils at the heart of everything. That it is still succeeding is testament to teachers like Ian – whose commitment and dedication to the school and its unique ethos (the school’s motto: “Belong, Believe, Achieve”) have a huge impact on each and every pupil. I hope that you enjoy this Q&A and, as ever, would welcome any questions or comments that you might have. 1. After rigging your school with so many cameras for so many days, does Estyn [the Welsh equivalent of Ofsted] hold any fear for you? 2. When I called the school to arrange the interview, I was informed that Mrs Ballard had moved to another school. What impact has Mrs Ballard’s departure had? 3. A reader’s question: What effect has your school’s national fame had on you, your staff and your pupils? 4. The edits that the Channel 4 team made had to be selective. Were you happy with the representation of the school? 5. A reader’s question: Does the school have many pupils who qualify for examination concessions and, if so, how do they cope with the separate rooms, extra time, reader’s scribes, etc. during these examinations? 6. A reader’s question: What are you planning to do about the Welsh reforms, are you planning ahead or does your whole-school approach mean that you are in a good position to adapt to these changes? 7. I was impressed by your unstinting professionalism, care and commitment to George. Will you be able to continue to give such dedicated pastoral care in the future given the cuts in the Welsh education budget and the pressure on staffing levels? 8. In the final episode, Sean (who has cerebral palsy) is encouraged to take part in the school show and performs on stage with aplomb. It’s a fitting finale to a school where individual teachers champion pupils that others have seemingly given up on. How do you do it? What’s the secret? 9. What is life like after the cameras have gone? For seven weeks, cameras recorded the lives of staff and students at Willows High School, Cardiff. Based on the BAFTA award winning 2011 Educating Essex, the first of eight one-hour weekly episodes was broadcast on 25 August 2015 to critical acclaim. If you missed it, you can watch all of the episodes on 4oD. 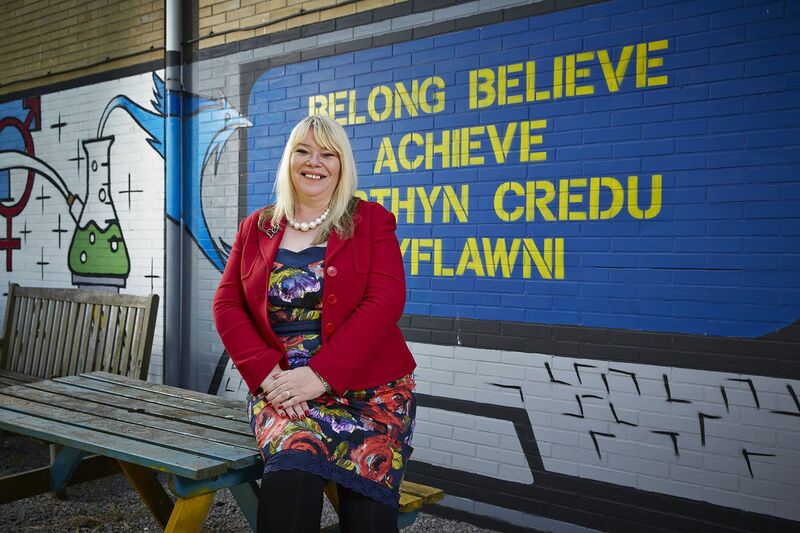 “Traditionally, a slight shiver goes down everyone’s spine when there’s the mention of Estyn. Having said that, Estyn holds no real fear for us at this moment. This is because our data and results are much stronger now. Of course, we’re set targets by the Welsh government and we’re judged against these targets. In the 2014/2015 academic year, for example, our target for five A* to C GCSEs was 24%, but we got 50%. Following on from your answer: to go from 14% five A* to C GCSEs to 50% in the space of a few years is a brilliant turnaround isn’t it? 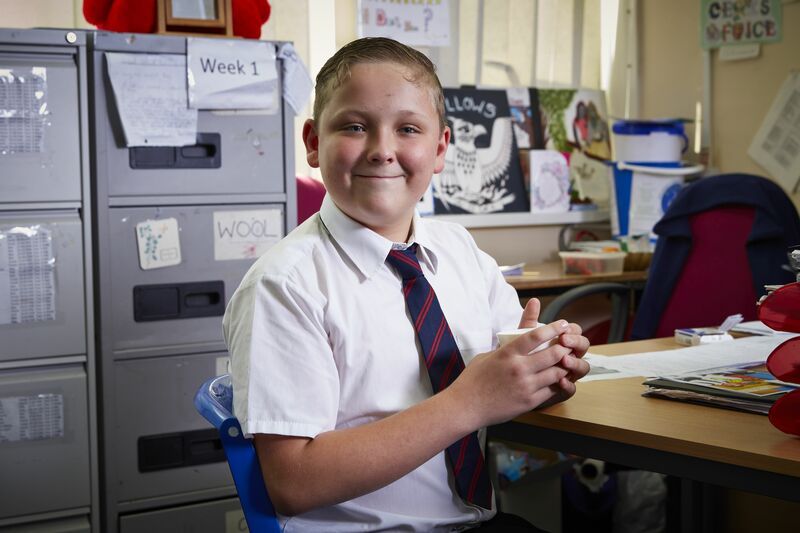 Find out more about Estyn. “It’s going to have a huge effect on the school. It’s going to change the culture of the school because, as you see in the programme, she is a force of nature. This was, of course, exactly what the school needed at the time. Having said that, her departure was not a massive shock to us, her family are based in Southampton and they have their own children. She always planned to return to Southampton and we always knew that her time with us was going to be relatively short. So we did a lot of continuity and contingency planning for that. “Despite all of this change, we’re pretty confident that we are well set up to adapt to this change – because our systems are good and really embedded in the school. For those of you who followed the show, there were quite a lot of off-the-cuff interactions between pupils and staff and many random acts of kindness. But, actually, these things only happen because the house and pastoral systems are firmly embedded and because everyone knows their roles and everyone knows their jobs. “Ultimately, this systemic approach helps mitigate any teething troubles that might hail from a change in headship. Because, of course, each head teacher has a certain style and good structures help a transition in style. For example, at our new head teacher’s first parental evening, Chris gave a presentation to parents a few weeks ago that was completely different from Joy’s parents evenings. Every Joy event would start with a song from one of our star performers. In stark contrast, Chris opened it with a spreadsheet. This is indicative of the difference in personality between the two. A Channel 4 interview with Joy Ballard (head teacher of Willows High School during the series). “It certainly hasn’t had a huge effect on our staff. Those members of staff who were in the show quite a bit (Paul Hennessy for example) found that their summer was disrupted by publicity. They received a fair bit of recognition and that gives us a voice, one that, maybe, we haven’t had before. It gives us a profile. Chris went to the Radio Times Festival in September and received quite a bit of attention. More generally, however, most members of staff haven’t found themselves distracted or disrupted in the wake of the programme. “In terms of the pupils, they haven’t been hugely affected, but there has been an impact. Although it’s been very exciting for them, we are of course concerned about what happens in the aftermath of the show. They’ve been the centre of attention for a long time and we need to make sure that they’re not just left on the pile. Remember, the filming actually finished in December 2014, and while those who were involved have access to an educational psychologist and have received a lot of support from the school and Twofour (the production company), it doesn’t end there and we’re there for them if they need us. Following on from your answer: in episode one, Jessica seemed a little socially isolated and was asked to edit the school newspaper to bring her in from the fringes. She responded brilliantly and really rose to the challenge didn’t she? Jessica is in Year 11, attains excellent grades, possesses an unblemished attendance record, and is a highly promising student. Despite this, her head teacher thinks that she really needs to foster her social skills to help her integrate more fully into the class and the school. Mrs Ballard’s incisive act is to set up a school newspaper (The Aviator) and ask Jessica to run it. It’s a masterstroke and has the desired effect. “As I’ve already mentioned, we do think that the academic achievement of the school wasn’t reflected as much as we had hoped. Obviously, we understand that this is a television series and, as such, life stories need to be shown. High quality teaching on the basics of algebra will not make the best television. However, as professionals, we would have liked a little bit more of a focus on that, alongside the invariably dramatic human-interest stories that make the programme what it is. “In addition to this, there was a lot of talk about individual kids and their exam results, but they didn’t show the collective exam results as we’d hoped. Of course, we knew that when we signed up for it; we’d seen Educating Yorkshire and we’d met the head teacher Jonny Mitchell from Yorkshire to talk to us about it and tell us what it was going to be like. He confirmed the same, so whilst we went into it with our eyes open, it doesn’t change the fact that we would have really liked the viewers to see some of the real high-quality teaching that we provide. “Yes, we do have a lot of kids in a school like ours with 50% free school meals; 30 to 35% SEN, so we’re always going to qualify for examination concessions. What we do is we look at the needs. This costs us a fortune, but it’s worth it for the outcomes. “We’re in a good position, in good condition and in a good place. It may be in the consultation phase, but we’re still planning for it – assuming that the final bill will not be too different from the consultation. There’s a lot of concern in Cardiff around SENCOs and the new proposals, so we’re obviously aware of what’s just around the corner. “As you saw in the programme, a lot of our school has been set up to look at and accommodate those additional needs. We’ve got a strong pastoral team, SEN team, and team of TAs and realise that we’re going to have to be in a position to adapt to these new changes. What we also know, is that one of our key areas is how to make the transition for those children. Because, in essence, it’s about what work you put into your primary schools; what work comes from your primary schools; and what pupils come up with in terms of support in primary schools. Find out more about the Draft Additional Learning Needs and Education Tribunal (Wales) Bill. “We’re facing a huge financial challenge. We have protected our staff and balanced our budget over the course of some lean years but, like a lot of schools, our numbers have been lower for the past three or four years. When you look at our school improvement plan over the next three to five years, we’re focused on ensuring that we maintain our levels of pastoral care. That said, we also know that next year we’ve got a big intake coming – we don’t quite know how big yet – and that’s going to be a challenge for us. “But I think that it goes back to the earlier question doesn’t it? The system is there and the ethos is there. Joy [the head teacher] may have only been at the school for three to four years, but the people behind her – myself, Chris, Rob Edwards and the senior leadership team (SLT) – have been here for ages. For example, the shortest serving one of us is Chris and he’s been here for a decade. So, taking this on board, the school’s ethos is firmly embedded in all of us. “We’ve all had opportunities to work in different types of school and we’ve all chosen to work in this school. Why? Because there’s something about this school that grabs you and draws you in. I came here after ten years in the East End of London and thought that I knew it all. I thought that it would be fine to move out to the provinces and that it would all be easy. On reflection, I couldn’t have been more wrong. So, in short, we’ve got the right ethos and our commitment to our pupils and the school is 100 per cent. “George is a classic example of why we will maintain our pastoral approach at all costs. If we don’t do stuff like that for George, we’ll just lose him, he’ll go and where will he go? He’s a very bright boy with a very big future. So where do we put him? Throughout the show, and across the school, we make it clear to each and every one of our pupils that when they join us they become one of us. We look, all the time, to protect our children and this clear approach and commitment is reflected in our data. For example, we haven’t done a permanent exclusion for years. “Take Daniel, during the course of the show, voices across social media were saying that his behaviour was so disruptive that he simply had to go. Well, for a 16-year-old boy, there are lots of places to go outside of school and a lot of them aren’t great. And I think that, as a school and a group of individuals, we’re here to care for our pupils. And surely the best care that we can give them is to keep them here and get them the best set of qualifications that they can achieve. So we’re not prepared to let our pupils go until they’re really ready to go out into the big world. 8. In the final episode, Sean (who has cerebral palsy) is encouraged to take part in the school show and performs on stage with aplomb. It’s a fitting finale to a school where individual teachers champion pupils that others have seemingly give up on. How do you do it? What’s the secret? “You look at the kids as your own kids. You know, Jessica, constantly, whenever she emails me, she calls me her school dad – and that’s the relationship that you’ve got to have. The relationship with Sean is interesting. On a personal level, I have a particular affinity with Sean because I have a daughter with cerebral palsy. She’s a little bit more disabled than Sean, but she’s in a mainstream school and doing very well. Sean is in Year 8 and speaks to Kerry (his confidant) at the school’s welfare office every day. His cerebral palsy means that he is unsure on his feet and can find the louder students difficult to deal with. Noticing Sean’s lack of confidence, the welfare office comes up with a brilliant plan: to convince him to take part in the school cabaret to take him out of his shell and his comfort zone. “Everyone who works in education knows this – whether you’re in Year 11 or Year 13 – when you complete your exams and get to the end of the school year, you can’t see how life could possibly carry on. If you’re a teacher, however, the next lot of Year 11s come through and they’re your new priority. That’s the same this year as it’s ever been. “When Joy departed, our SLT decided to reduce our SLT by one person. So, this year, we’ve been incredibly busy covering all our bases with a new, challenging, cohort of Year 7s and a new group of Year 11s who have got incredible potential but haven’t quite clicked into gear. The cameras may have gone home but the challenges remain as pressing as ever. Willows High School is a remarkable success story because of its dedicated and committed pupils and members of staff. Ian qualified as a teacher in 1994 and started his career in East London. In 2002, he moved to Wales with his family and became head of RE and PSE at Willows High School. Four years later, he was made assistant head teacher. At Willows, his main responsibilities are for the curriculum and the safeguarding of pupils. Within his role, he also has responsibility for the line management of SEN.
All images reproduced with the kind permission of Channel 4.